Ramaraju was appointed as Chief Executive Officer (CEO) in January 2015. His main focus is on establishing the strategic growth plan of the company and in providing actionable insights to the organization. Raju is a seasoned executive with 25 years of experience in banking & finance, IT, and sales & distribution in the manufacturing sector. He most recently served as the Executive Vice President – Systems at one of Thailand’s largest banks, the Bank of Ayudhya (BAY). Prior to BAY, Raju held various positions in GE Capital, Thailand for 10 years. During the last 15 years, his responsibilities included overseeing IT PMO function, budgets and expense controls; service delivery operations; infrastructure outsourcing; overseeing helpdesk & service desk functions; leading development and support teams of legacy systems; quality assurance organization and regional IT PMO for consumer finance business. Sheela Ravi has over 22 years of progressive management experience delivering cost effective solutions to challenging business problems within the Financial Services and Technology solutions industry, with domain expertise in core banking and credit card solutions. Prior to joining Aara Tech, Sheela served as the Vice President at Citibank, and has held senior positions at FIS and Wipro. Sheela comes with a unique blend of senior management experience & technology and has consistently exceeded business objectives for clients and business partners. 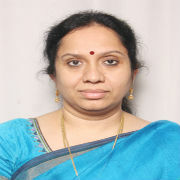 Sheela holds a Masters in Computer Applications from the College of Engineering, Anna University. 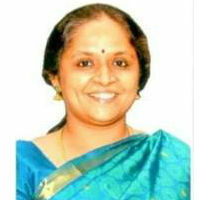 Sheela is always approachable and believes in creating a positive work environment. She enjoys old Hindi songs of the 70s and 80s and loves trying out new things. Uma is a Ph.D. in Applied Mathematics and is one of the founding members of VIT with over 2 decades of professional experience. Uma is the “go-to” person for most of the folks in VIT; graced with an affable personality and a calm head she would find an acceptable solution to many complex challenges. Given her rich experience working with diverse people, including her stints as Head of the Department for Mathematics and Statistics at Hindustan College of Arts and Science, and as Operations Head for an IT Services Company before joining VIT, she wears several hats in the Organization and is always ready to roll-up her sleeves and get into action. In addition to other responsibilities, Uma handles several kids during the day – at home and office! 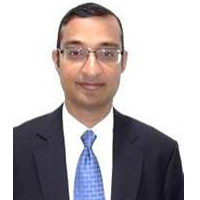 Anantharaman has over 15 years of experience in Information Technology, managing cross functional teams and multiple domains. Being a well-known strategic leader and delivery head, previously in the healthcare industry, Ananth decided to take up the responsibility of growing and managing VIT clients with his strategic planning and transformational programs. Anantharaman has a master’s in Computer Science from St.Joseph’s College, Trichy and is a certified PMP. He likes to explore his culinary skills in his spare time and enjoys listening to music. Family time is one thing that keeps him energized always. 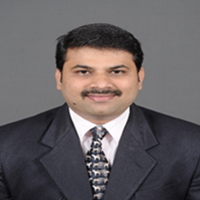 Sridhar has over 18 years of professional experience in global HR business, research and organizational development.. Sridhar has contributed to various aspects of people management, including employee relations, organization capability building, M&A integration and managing the HR function for multiple geographies. 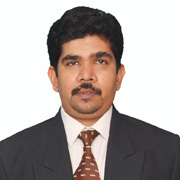 Sridhar has facilitated roles as Head of Hiring and Human Resources in organizations such as Mahindra Satyam, HCL Technologies, Covansys and Globesoft Pte Ltd. Over these years, he has been responsible for developing & implementing people management strategies to create a sustainable and enthusiastic work force for better delivery and customer delight. Sridhar earned a post-graduate degree in social work from Loyola College, Chennai and a bachelor’s degree in economics from Madras Christian College, Chennai.